Inspired by an article I read in the Guardian (see link below), I thought it was finally time to write about a subject I spend most of my time immersed in- children’s literature. As my job involves facilitating shared reading groups with young people (mainly secondary school students, as I feel less likely to want to throttle someone in that setting and also, for the most part, I quite like working with stroppy teenagers! ), reading copious amounts of children’s/young adult books is a necessary part of my role. Whilst I am by no means an expert in this area, I do like to think that I’ve acquired a bit of knowledge about what constitutes a good story for young people. Writing about it during my week off work is probably not the best form of escapism, but, as I’m lucky enough to have a job that revolves around my main hobby, escaping from books was never really my intention anyway! As a passionate advocate of reading for pleasure, I often find it frustrating that talented children’s authors don’t receive more critical acclaim in the realm of literature. Engaging today’s children in the act of reading is a difficult task when there are so many competing forms of entertainment, and yet so many authors are not only able to attract and sustain their interest, but do so by deftly weaving together a multitude of fundamental components- well-rounded characters; universal ‘truths’; important social issues; humour; emotional depth; and an abundance of imagination. Ultimately, the ingredients of a high calibre piece of literature aimed at young people are no different from those of literature for adults, yet children’s authors often go unrecognised when it comes to achieving literary merit. Rather than simply be judged as pieces of fiction, books written for children/young people are ignored or disregarded when it comes to major literary awards, such as the Man Booker, and are generally labelled ‘Children’s Literature’ or ‘Young Adult Fiction’ instead of simply being regarded as ‘Fiction’ or ‘Literature’. Anyone who read voraciously as a child will know that the stories that make an impact on us as children tend to stay with us for the rest of our lives, and are often re-read over and over. I’ll never forget Susan and Lucy weeping into Aslan’s fur following his brutal death at the hands of the White Witch in The Lion, The Witch and The Wardrobe, or Amy’s cry of ‘Oh Jo, how could you? Your one beauty!’ after Jo March sells her hair in order to pay for her mother’s visit to their injured father in an army hospital in Little Women. These stories, amongst others, moulded my personality, shaping my attitude towards the world, and, ultimately cultivated a deep and unrelenting passion for words, stories, and people. Without them, I have no doubt that I would have developed into a very different sort of adult. With that in mind, I thought I’d share a few of personal book/short story recommendations for young people based on my experience of reading with them. There are still many amazing works that I have yet to read, and some of the ones I have listed have been included on the basis of their appeal to children/teenagers rather than their literary merit, but I firmly believe that anything which engages someone in reading has some value. Of course, ‘great’ literature is important, but I don’t think anyone will dispute the role that all books play in forming the foundations from which we build a love of reading. As I work with children who are usually between the ages of 11 and 16, the titles are aimed towards that age range, but some are suitable for younger readers and, of course, as I have greatly enjoyed them myself, I would recommend all to adults! • Mick Jackson’s The Pearce Sisters always provokes extreme reactions from teenagers and adults! It includes what some might describe as gratuitous violence, so may not be acceptable reading material to some parents, but raises some very interesting questions about gender and morality. 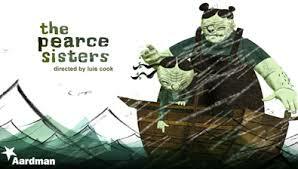 I recently discovered a Bafta award winning short animated film based on this short story. It’s only approximately 10 minutes long and is quite amusing, so I’d recommend watching this too (after reading the story!). 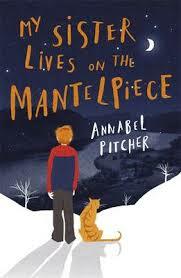 • My Sister Lives on the Mantelpiece by Annabel Pitcher is a novel that I read for my 30 Before 30 Challenge and subsequently blogged about (if you want to read my thoughts on it, the post is in my April 2014 Archive). It’s a beautiful, tear-inducing read, probably more suited to older, more mature teenagers and young adults, which encompasses such issues as death, grief, terrorism, divorce, alcoholism, and bullying. 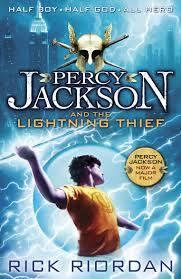 • Percy Jackson and the Lightning Thief by Rick Riordan is a fast-paced, fun fantasy-adventure novel which blends mythology with the modern world, making Greek myths more accessible to children in the 21st century. • The Secret Garden is a classic tale with timeless appeal. Although recent editions nearly always seem to have a stereotypically feminine design, I’ve discovered that quite a lot of boys also tend to enjoy Frances Hodgson Burnett’s story of friendship, nature and positive thinking in early twentieth century England. • Anthony Horowitz’s short horror stories are fantastic at engaging reluctant readers, particularly boys. The Hitchhiker is always very well-received, and Flight 715 also gets a lot of positive comments. If you’re particular about what your child reads, however, it would be worthwhile reading them before your child does; they could potentially be nightmare inducing! 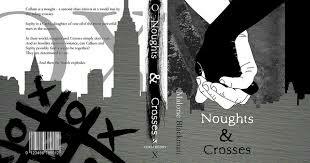 • Malorie Blackman’s Noughts and Crosses (or Black and White as it was retitled) is the first in a series of dystopian novels which imagine an alternative world history- one in which black Africans (Crosses) are regarded as superior to white Europeans (noughts). Essentially, it is a powerful and thought-provoking tale of racial segregation with a Romeo and Juliet style love story at its heart. There are many others that I would recommend, and, no doubt, numerous fantastic books that I’ve failed to include simply due to the fact that I haven’t yet read them, so if anyone has any questions/personal recommendations, please don’t hesitate to get in touch- it’s always good to share the book love! Since my last blog post, life has altered quite significantly. Besides starting an amazing new job, I’ve also had to contend with finding my way around a new city, meeting many new people (including weird men at bus-stops- which, let’s face it, is quite normal for me! ), and spending a lot of time on my own. Though it’s been quite mentally draining, I’ve vastly enjoyed my first month in Liverpool, and am definitely feeling much more settled now. Exploring a new city is always exciting, especially when you begin to discover the various gems it has to offer. Having already visited a speakeasy, seen an amazing version of Dylan Thomas’ Under Milk Wood, and revelled in the natural beauty of Sefton Park (which contributed to a minor state of sun-induced delirium), I feel like I’ve started to embrace the natural and cultural landscape of Liverpool. It’ll never replace Yorkshire in my heart, but I’m definitely growing quite fond of it…and the people are lovely too (even the Scousers!). One of my new housemates. And occasional stalker! Toni Morrison is renowned for her intricate and candid exploration of the black experience, and this book is no exception. 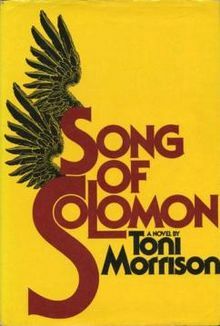 Focusing on a young black man’s journey to realise his personal and familial identity in mid-twentieth century America, Song of Solomon is a work of lyrical complexity, with Morrison skilfully blending myth, allegory, song, and a host of, in my opinion, unlikeable characters together to create a novel of enchanting proportions. Although the central protagonist, Macon Dead Jr, or Milkman (so-called because his mother nursed him long past his infancy), is detestable in parts, particularly in his treatment of women, his metamorphosis from boy to man is fascinating and touching. There is so much to love about this novel, it definitely deserves to be read at least once. Despite hearing many great things about both the author and the book, I was disappointed to find The View From Castle Rock extremely tedious. As someone who loves anything related to genealogy, I thought that this series of fictional stories based on Munro’s family history would be just the sort of book for me, but I was yawning before I was five pages in! After managing, with some difficulty, to read half of it, I decided to skim-read the last 150 pages. I wish I had something more positive to say, particularly as it’s very uncharacteristic of me to dislike a piece of literature. I’m not going to allow this negative experience of Munro to deter me from reading any more of her works, however. In fact, quite the opposite. I am now determined to find something of merit in her writing! In this instance, the many glowing reports I’ve had of this novel are consistent with my own thoughts on it: it was an utterly enthralling read! 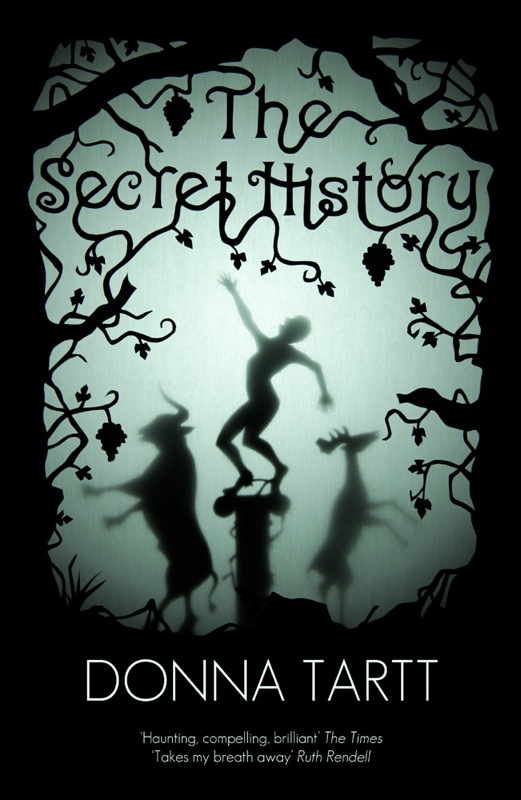 The Secret History revolves around the lives of six students at a private college in America who become obsessed with the practices of the Ancient Greeks as a result of the influence of their charismatic though somewhat strange tutor. After some of them accidentally kill someone whilst attempting to recreate a Bacchanalian rite, they are forced to murder one of their own in order to keep their secret hidden. Yes, it’s an intellectual read and if you’re not particularly well-versed in the classics, there are some allusions that you will fail to understand, but it is also a thriller that will take hold of you from the very first page. Hemingway is a writer that I always felt I should read rather than actually wanting to, hence my inclusion of one of his works on my 30 Before 30 list. Whilst I can see that The Old Man and The Sea might be hugely enjoyable to many people, it was not a particularly exciting read for me. As the story of an unsuccessful Cuban fisherman’s triumph and eventual defeat as he finally catches an enormous fish that drags him out to sea only for it to be eaten by sharks before his return to shore, The Old Man and the Sea is a simple yet effectively written tale exploring the relationship between man and nature. I’m sure that there are various interesting literary interpretations of it, but, on the most basic of levels, I’m afraid to say that it didn’t appeal to me as a reader. Luckily, it’s only a 99 page novella, so I didn’t feel as though I’d wasted too much time reading it! As a teenager the majority of books classified as Young Adult (YA) passed me by. Other than reading a few Point Horror books and the necessary ‘coming-of-age’ Judy Blume novel when I was a pre-teen, I recall making a relatively swift transition from Nancy Drew to Jane Eyre (with a few Mills and Boon pit-stops along the way, courtesy of my uncle’s girlfriend!). Once I had entered the vast realm of adult fiction, I saw no reason to go back, and consequently, I have since realised, probably missed out on some amazing pieces of literature for young people. Since working with teenagers I’ve made a distinct effort to return to the world of YA fiction and have, on the whole, been pretty impressed with it. So when a secondary school teacher I know recommended Annabel Pitcher’s My Sister Lives on the Mantelpiece I decided to give it a try. Entirely different to the sensationalist fiction of Darren Shan or Stephenie Meyer (which is good in its own right), I was completely blown away by how candid and poignant it was. Exploring the effects of loss on a 10 year old boy and his family in the years after his sister is blown up by terrorists, My Sister Lives on the Mantelpiece tackles a difficult subject in a sensitive yet not overly saccharine way. From the opening paragraph, it is apparent that the death of Rose, Jamie’s older sister, has cast an irrevocable shadow over the family, yet Jamie, the narrator throughout, remains detached from the grief that consumes his mother, father, and Rose’s twin sister, Jasmine. Although his dad cannot bear to spread his daughter’s ashes, instead keeping them in an urn on the mantelpiece, Jamie fails to even remember his older sister. Whilst his family disintegrates under the weight of grief, poor Jamie struggles to make sense of a loss that he can never fully understand. .
Delving into a multitude of issues relevant to life in modern Britain- from racism to alcoholism and single parent families- Pitcher’s debut novel reflects just how devastating an impact death can have not only on family life, but also on a child’s mental and emotional wellbeing. Uprooted and not properly cared for, Jamie has to contend with issues of bullying and loneliness in silence as the rest of his family become increasingly absorbed in their misery. Anyone who has ever worked with children will have met a ‘Jamie’ before- a child who arrives at school in the same dirty clothes every day; someone who is never included, no matter how hard he tries; a person who tells elaborate tales or simply remains silent as a means of hiding the reality of his home life. The sad fact is, Pitcher’s fictional story is a brutally honest account of what happens when grief takes over. Beyond the sadness, there are moments of light relief that will keep younger readers entertained, particularly the parts involving tricks played on Jamie’s new teacher- a seemingly uncaring woman who is almost as horrible to him as his classmates are. The heart-warming friendship that blossoms between Jamie and fellow outcast Sunya, a kind Muslim girl, is also cause for cheer, so it’s not all doom and gloom. What most struck me about My Sister Lives on the Mantelpiece was the way that, despite being labelled Young Adult fiction, it is just as relevant to an adult as to a teenager. The universal nature of death means that we all have to suffer the consequences of grief at some point, yet being an adult does not always prepare you for it any better than a child. Besides being infused with warmth and a welcome sense of reality, the book reminds us that there is no specific formula for grief- we all deal with things differently, we all make mistakes, and, ultimately, we are all just human. This novel had me in tears at various stages, which, let’s face it, isn’t hard (as regular readers have probably noticed, this has become a frequent occurrence through this challenge!). I’m pretty certain that I’m not the only person to ever cry at My Sister Lives on the Mantelpiece though- in fact, I’d defy anyone NOT to get a little glassy-eyed at it! If you’re an animal lover be prepared for some serious sobbing however- a box of tissues might well be necessary. You have been warned! ‘This is a place of mystery, Daniel, a sanctuary. Every book, every volume you see here, has a soul. The soul of the person who wrote it and of those who read it and lived and dreamed with it…Every book you see here has been somebody’s best friend’. Discovering a place called the Cemetery of Forgotten Books would be akin to finding heaven on earth for me. If such a secret library actually existed, I might never leave. Except to venture out to the odd party. And to buy an eternal supply of tea and crisps. 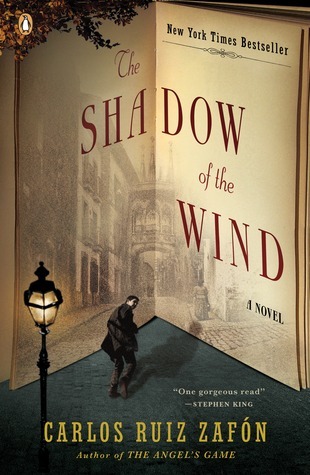 For Daniel, the main character of the book, the discovery of this repository of obscure literature in the bowels of Barcelona and his subsequent ‘adoption’ of a long forgotten novel, The Shadow of the Wind by Julian Carax, not only eases the pain of his mother’s death, but begins an obsession that will characterise his transition from boy to young man. When he discovers that a mysterious figure named Lain Coubert (which he later find out is the name of the devil in Carax’s books) has managed to destroy every copy of the novel apart from his own, Daniel starts to investigate the author, Julian Carax, and to piece together the enigmatic story of his life. Though his detective work often lands him and his trusty sidekick, former Spanish Civil War torture victim Fermin Romero de Torres, in hot water, Daniel continues to attempt to unravel the mystery of Carax’s life- which, he soon discovers, is one that encompasses family tragedy, a doomed love affair, and layers of lies. Like a typical teenager, Daniel ignores the threats of Lain Coubert and a corrupt police officer in order to fulfil this self-imposed mission, ultimately facilitating his own journey to manhood. Despite the convoluted plotline (which I’ve only really given a bare outline of), the basic idea that a book has the power to catalyse change and transform lives is one that all bookish types cannot fail to appreciate and understand. Other than this, what I really loved about the novel was the sense of community within it- how neighbours rallied round to support each other and stand up for those who were being persecuted in the years after the Civil War- and the use of some classic gothic tropes, such as the archetypal gothic building. Blending the gothic tradition with historical fiction, comedy, and a touch of romance, Zafon’s novel has a bit of everything to keep people enthralled until the end. 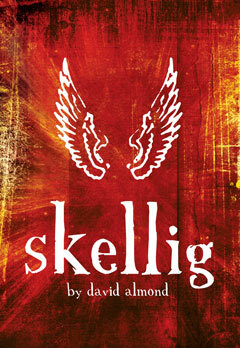 The fact that it is also beautifully written means that it is very hard to criticise the novel. If your concentration span is limited, you may find it difficult to follow in parts, but this is quite a minor flaw in my (very biased!) eyes. Ultimately, it made me laugh, it made me cry, and it made me think. But, more than all that, it filled me with a sense of belonging; with a sense that I had found a writer who truly understood my reverence for the written word and the hallowed status that books have always had in my life. 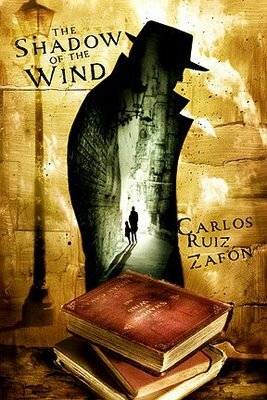 There is no question about it: I will definitely be reading The Shadow of The Wind again. And, quite possibly, every other Zafon book I can find. Read it if you can; it’s a literary gem. When I first started blogging, I wasn’t aware that there were such things as blogging awards, but apparently there are- and I’m chuffed to have been nominated for one thanks to the lovely and very interesting Yasmine over at http://ymulholland.wordpress.com. · Thank the blogger that nominated you and share a link back to their blog. 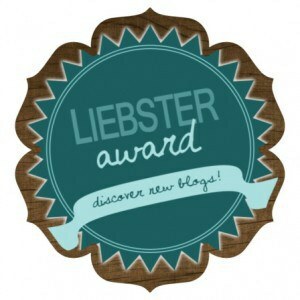 · Display the award on your blog. · List 11 facts about yourself. · Answer 11 questions chosen by the blogger that nominated you. · Think of 11 new questions to ask your nominees. · Nominate 5-11 blogs that you think deserve the award and who have less than 1,000 followers. You can nominate blogs that have already received the award, but you can’t renominate the blog that nominated you. Growing up in a family of Huddersfield Town supporters meant that I used to have a season ticket when I was a child. I haven’t been for about 10 years, but I do still enjoy watching the odd football match- it’s the only sport I actually like! I love animals and get really attached to pets. Although I was brought up to be a carnivore, I was also taught that all living things deserve to be treated with love and respect. 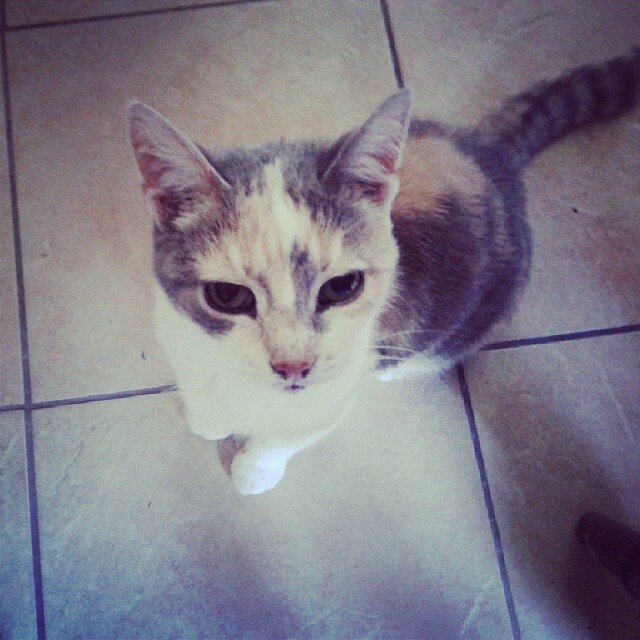 When my 19 year old goldfish died I cried like a baby. I’ve always been really intrigued by magic and the supernatural. When I was a teenager, me and my best friend used to do spells, and my mum, brother, and I like to talk about anything relating to the supernatural. I tried to be a vegetarian once, but failed- I just felt ill all the time! So now I eat chicken and fish. My dairy intake is also quite limited as I have a mild lactose intolerance. I LOVE dancing, as I’m sure anyone who’s seen me on a night out will testify. After reading it’s my favourite thing to do. I barely wear any make-up anyway, but I try to only buy cosmetics that are BUAV approved (not tested on animals). This can be quite difficult! People always mention what a happy, positive person I am, but I can be really moody and stroppy when I want to be…generally when people don’t understand my need to be alone! I’m not at all motivated by money- and I don’t have a lot of respect for people who are. Some of my favourite words are ‘rapture’, ‘melancholy’, ‘effervescent’, and ‘mellifluous’. I used to be obsessed with Emily Bronte and went through a phase of thinking I was her in a past life! What was your favourite book as a child/teen? My favourite books were The Lion, The Witch, and The Wardrobe and Little Women, both of which I used to read on an annual basis. 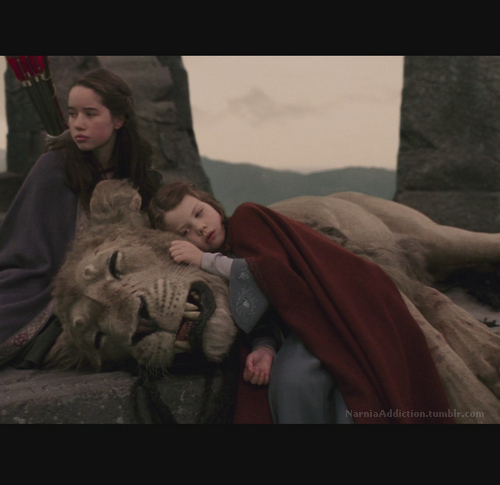 The magical elements of Narnia captivated my imagination and I really wanted an Aslan of my own. I loved Little Women so much because I identified with Jo March. Like me, she loved books and writing and didn’t really care what anyone thought about her. Both books still have the power to reduce me to tears! Who is/are your favourite author/s? 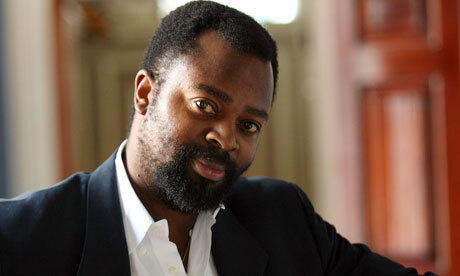 There are so many brilliant authors out there, but I generally sway towards those who have quite a poetic or exuberant writing style, like Ben Okri and Angela Carter, or those who write about the fragility and complexity of relationships, like Amy Tan, Kate Atkinson, Maggie O’Farrell, or Joanne Harris. I’m definitely not a style over substance person, but a writer’s prose style can make or break a book for me. Which book, or books, has had the most influence or impact on you? Many books have had a big impact on me, but, in recent years, I’d say Kate Atkinson’s Behind The Scenes At The Museum really resonated with me in a way that I’d never experienced before. Besides being funny, poignant and intensely readable, it made me reflect on my own maternal family history, and made me think about writing my own family members into history so that they don’t become ‘lost in time’. What is your favourite literary era/time period? I really enjoy gothic fiction, so the whole period of Victorian literature is wonderful. The idea that there was so much passion, superstition, and fear of social change lingering underneath/behind the stiff corsets and upper lips of the 1800s fascinates me! Involved. I find it difficult to extricate myself from what is going on and think of characters as friends (I also have real friends…honestly!). I often feel quite drained from all the emotion that I invest in books. I really can’t think of one. By now, I think I’m quite a discerning reader- if I don’t like the look of it, I don’t read it! I’m sure they’re very enjoyable to some people, but I could never read the type of books that perpetuate the myth that women are only interested in clothes, makeup, and men. Books generally have to have some substance- some social, political, or literary value- for me to read them. Why did you start blogging about books? I needed a creative outlet, so I decided to start blogging about all the things that I love or am interested in- though it seems to have become pretty literature-concentrated! Writing about literature at MA level was fab, but you have to remain fairly neutral; feelings and opinions aren’t relevant unless they contribute to an academic theory/debate. I wanted to write about books in a way that everyone who loves literature could relate to. What is the most rewarding or challenging aspect of blogging? It’s always great when someone says that you’ve inspired them to read something, but, if I’m honest, I just enjoy the writing process- it’s so cathartic. Can you pinpoint the exact moment where you discovered your love of/interest in books? I think I was born to love stories and reading! Apparently as a baby I used to pick up the newspaper and babble away to myself as if I was reading it. It’s quite strange actually; nobody else in my family likes books- I’m the anomaly! How often do you read, and for how long? I try to read a little bit every day, even if it’s only a poem or two on the bus, but it’s very difficult to do when you have a job, active social life, and lots of other interests! Once I’ve started a book I tend to plough through it quite quickly. I can read a book in a few hours if I put my mind to it. Do you watch TV/movie adaptations of books, if so what is your favourite adaptation and why? Although I always endeavour to read the book first, I do love a good adaptation! It’s great to be able to see the visual representation of someone else’s imagination, even when it isn’t always consistent with the book. As a period drama lover, the film version of Sense and Sensibility starring Emma Thompson and Kate Winslet is a particular favourite of mine, but I’ll happily watch any. If you could be any literary character, which one would you be and why? What’s your favourite opening line to a book? Which fictional character would you marry and why? What’s the most emotionally draining book you’ve ever read? If you could have written any book, which would it be and why? Which book would you adapt for the big screen and which actors would you choose to star in it? Who is your literary idol? If you could have a dinner party with five writers, dead or alive, who would you choose? What do you enjoy most about reading? What three books would you take on a desert island? 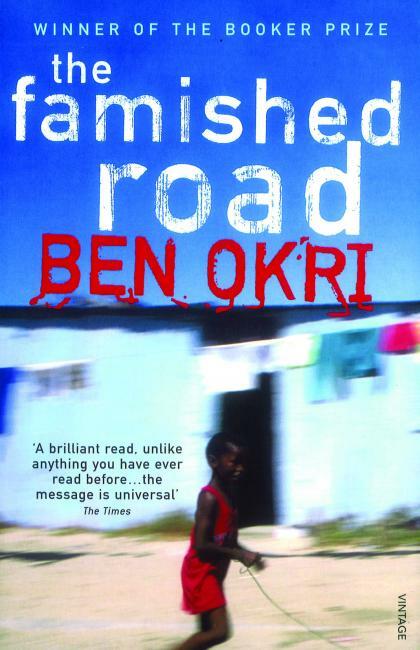 Ben Okri is the literary love of my life, but The Famished Road can definitely be likened to a literary version of Marmite. ‘ In the beginning there was a river. The river became a road and the road branched out to the whole world. And because the road was once a river, it was always hungry. The Famished Road explores the many elements of life in an African (probably Nigerian) ghetto- poverty, love, injustice, violence, and hunger- through the eyes of a boy who has abandoned his spirit companions to remain in the world of the living. Despite their endeavours to lure him back to their world, Azaro roots himself in a life of suffering, enduring the eternal threats of famine and death to remain with the people he loves. The novel has been criticised for being repetitive and I must confess that it is. Azaro’s father, a character whose courage I admire but whose temper I don’t, seems to fly into a rage in virtually every chapter, yet his anger always abates before anything too serious occurs. Whilst these violent outbursts can get quite boring, they are, in my opinion, intended to be an accurate reflection of the monotony and futility of life in an African compound, where people are faced with the same struggles and injustices day after day after day. Far from being predictable, however, there are instances in the book where you’re not quite sure what is happening. Okri blends the spirit world with the world of the living so well that you are often unsure who is alive and who is dead, or what is real and what is fantasy. Although this can be confusing, it allows you to see Okri’s world from the perspective of an African child and contributes to the sense of political and social chaos that permeates the entire novel. At five hundred and seventy four pages long, I can understand why some people put it down long before the end; at times, it really did feel like a labour of love. What propelled me to continue reading it, besides my complete adoration of his prose style, was the fact that this book, a winner of a prestigious Western literary award, was not written by a European, but by a black Nigerian man- someone who is more qualified than most to give a distinctly black African perspective of and insight into the black African condition. If I’m being honest, this is the sort of book that many people will detest. If you’re not very literary/philosophical and have no patience, I can almost guarantee that you will hate it. But if, like me, you enjoy the challenge of a highly literary read that will continue to provoke thought (and probably confuse you!) 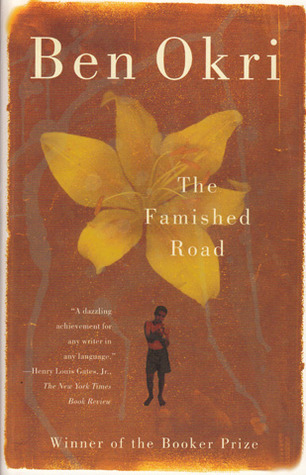 long after you’ve read it, The Famished Road will provide you with all the mental and spiritual nourishment you need. 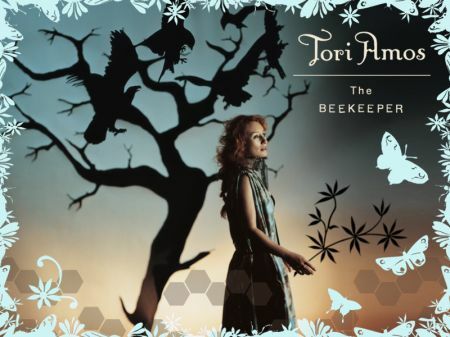 When I first heard Tori Amos sing of pirates, trust, and cliffs of rock in her song ‘Jamaica Inn’ from The Beekeeper album, I was instantly filled with a desire to read Daphne Du Maurier’s book of the same name. Though I knew very little about the book, other than that it was based on the history of a centuries old inn on Bodmin Moor in Cornwall, I’d heard many glowing reviews of it. Imagining a dark tale of gothic romance, I was pleased to discover (about eight years later!) that my theory was correct. From the first page I was completely enthralled, swept into the bleak and desolate nineteenth century landscape of the Cornish moors and the literary territory of the gothic novel through Du Maurier’s use of compelling imagery. Descriptions of the ‘granite sky and a mizzling rain’ and a coach ‘rocking between the high wheels like a drunken man’ propelled me into a story of darkly dramatic proportions, immediately creating the tone of gothic intrigue that permeates the entire novel. 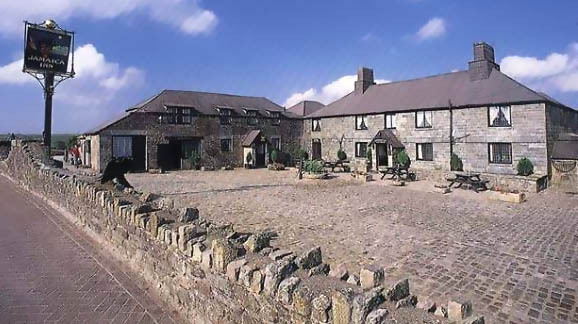 To summarise, Jamaica Inn is the story of a young woman, Mary Yellan, who obediently complies with her dying mother’s wish that she goes to live with her Aunt Patience and her husband, the landlord of Jamaica Inn, after her death. Arriving to find that her once happy Aunt Patience has become a nervous and almost childlike woman, scared of her violent husband, and that Jamaica Inn is a place feared by the locals, Mary begins to suspect that something is amiss. Unable to depend on her feeble aunt, Mary determines to discover the secrets of Jamaica Inn and her uncle, Joss Merlyn, but soon finds that it is impossible to bear the terrible burden alone. Finding herself drawn to two very different men, Joss’ brother Jem, a magnetic but roguish horse thief, and Francis Davey, a strange and distant vicar, Mary must decide who to trust as events begin to unfold outside of her control. 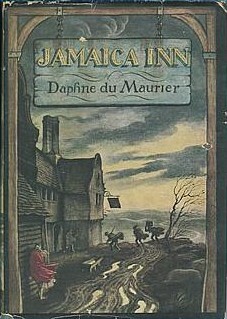 Besides some beautifully atmospheric descriptions that make the novel immensely readable, what I loved most about Jamaica Inn was Du Maurier’s characterisation of its central protagonist, Mary Yellan. Spirited and courageous, Mary is an extremely likeable character- in fact, I’d even go as far as saying that she is my new favourite fictional heroine (though I still love Elizabeth Bennett)! As someone who has been raised on a working farm, she is hardy and practical, preferring the idea of independently running a farm to the notion of marriage. Moreover, she seems to understand, beyond the conventions of the age in which she lives, the restrictions that are imposed on most married women, recognising her Aunt Patience as an embodiment of the married woman’s metamorphosis from autonomous individual to voiceless shadow of her former self. That is not to say that she is strictly anti-men, however. Despite her revulsion for her uncle’s treatment of her Aunt Patience, Mary understands and experiences desire and the complications that arise from it. Although she enjoys solitary wanderings and relishes the idea of returning to her former home to live a life of independence, Mary’s ambivalent feelings towards the mysterious Jem Merlyn mark her out as a character of complexity. The reader is never quite sure what she will do next, yet there is no doubt that Mary Yellan will continue to remain true to herself, executing her plans with good judgement, resolve and integrity. Mary Yellan is not the only complex character in the book, however. In Joss Merlyn, Du Maurier carves out an extremely flawed character- who is both detestable and fascinating at the same time. Finding myself sympathising with Joss on more than one occasion, I viewed him as an alternative Heathcliff. Whereas Emily Bronte’s Heathcliff denies his roots to climb the social ladder, ultimately becoming a self-made man, Joss seems to use his as a justification for his depraved behaviour, blaming his father and grandfather’s genetic influence for his own misdemeanours on his path to self-destruction. Though he is guilty of heinous crimes, Joss’ humanity emerges through drunken revelations and the dreams that haunt him, reminding the reader that, despite his seemingly evil personality, he is, after all, merely human. I don’t think anyone could describe Joss Merlyn as a likeable character, yet I found that there is something quite pitiful about this ‘great husk of a man’ which almost helps to mitigate the severity of his crimes. To say that Du Maurier’s novel isn’t predictable would be untrue; I was able to guess some of the outcomes halfway through the book. This never diminished the enjoyment of Jamaica Inn for me, however, as I was far more interested in the psychology of the characters than the actual plot. 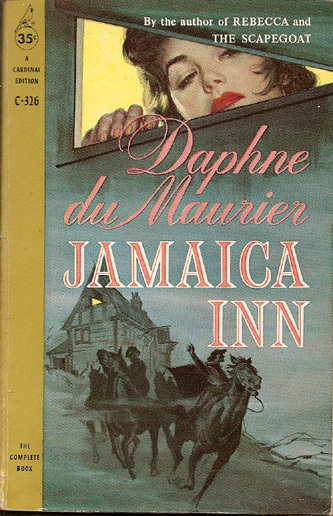 Whilst many readers have drawn comparisons with Du Maurier’s most famous work, Rebecca, suggesting that Jamaica Inn is a much weaker novel, I personally found Jamaica Inn to be a much more enthralling read. With all the elements of a traditional Gothic novel, including a suitably dreary landscape and the archetypal Gothic building, Du Maurier’s story never failed to excite me. In fact, if I didn’t still have another 24 books to read, I’d start reading it again! 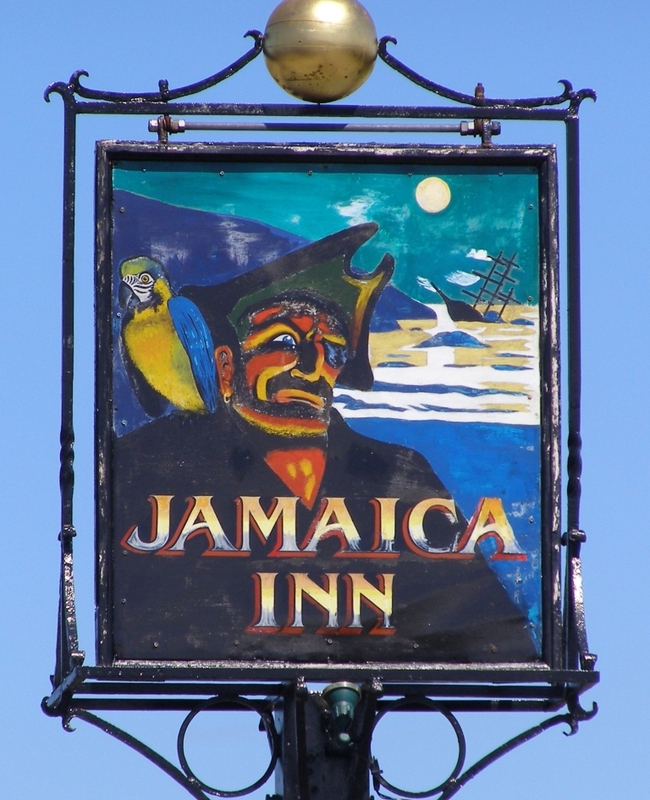 Now that I at least partly understand Tori Amos’ song, I think it may be time to plan a literary pilgrimage to the real Jamaica Inn so that I can truly understand its significance in Cornish and cultural history. Hopefully there’ll be no bands of criminals to contend with, but, like Mary Yellan, I’d be more than happy to stumble upon a real-life Jem Merlyn!